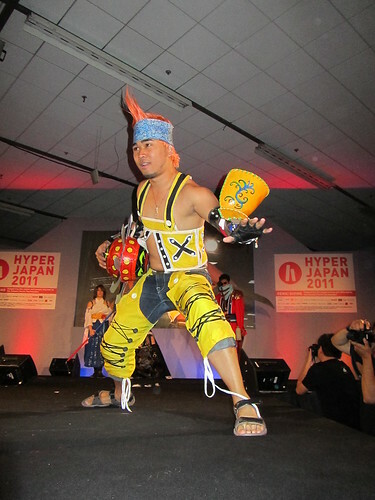 According to Wikipedia, “Cosplay (コスプレ), short for “costume play”, is a type of performance art in which participants don costumes and accessories to represent a specific character or idea.” I have to confess that I don’t know much more about cosplay than that, but I know that I like it. 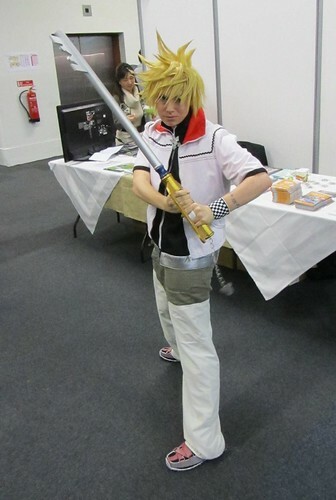 Even though I rarely recognise the characters in front of me, I like cosplay because it’s creative. 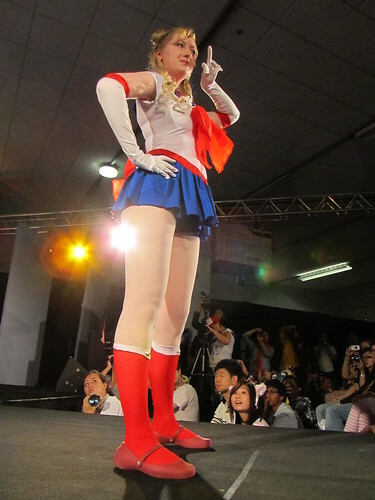 So much time and effort goes into making the costumes, and cosplayers really get into character sometimes. 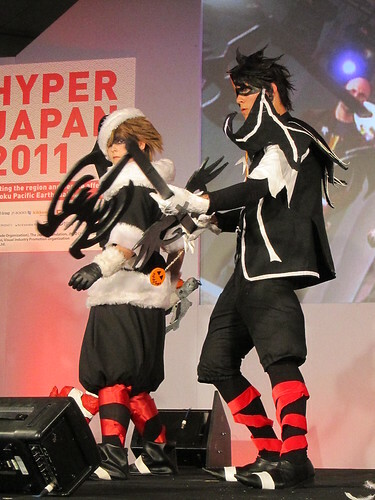 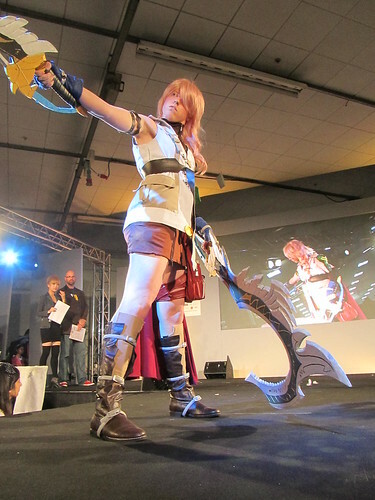 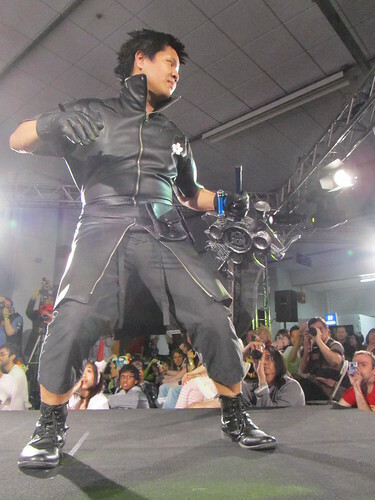 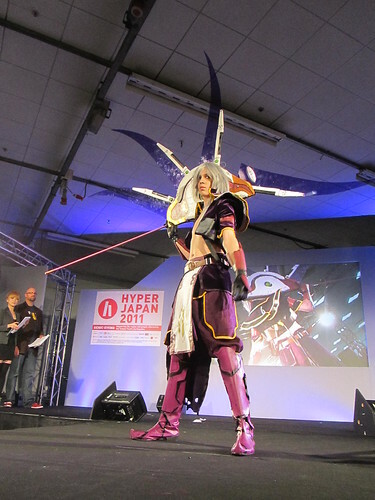 At Hyper Japan there were two main cosplay events: the UK Cosplay Award 2011 including the CosParade, and the Square Enix Cosplay Battle. 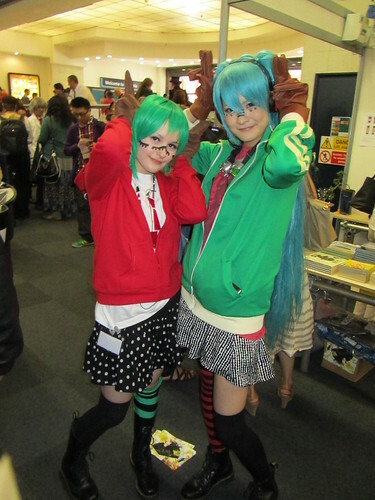 There were also a lot of cosplayers walking around the event, most of whom were very happy to pose for photos. 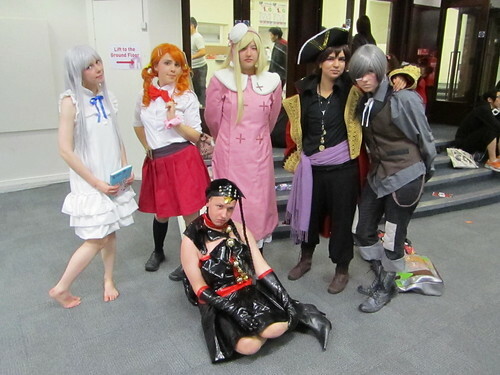 Below are a selection of my favourite costumes. 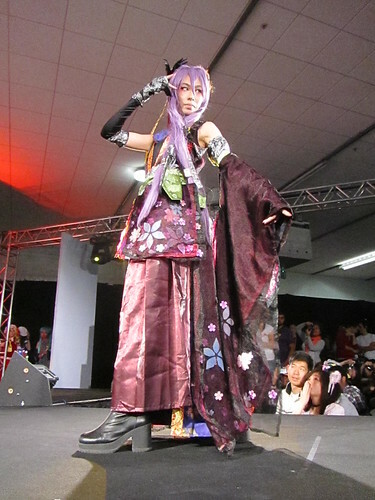 As I said, I really don’t know about the characters etc. 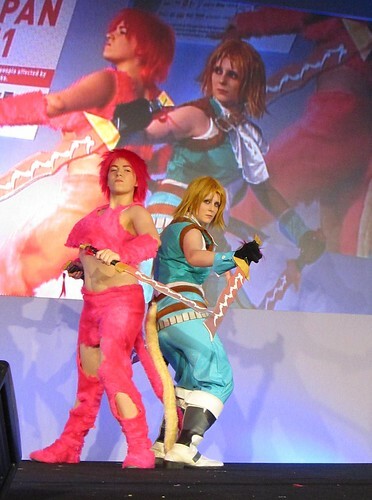 so my choices are based purely on liking what I see. 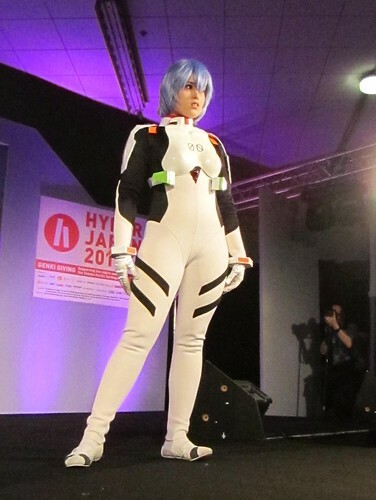 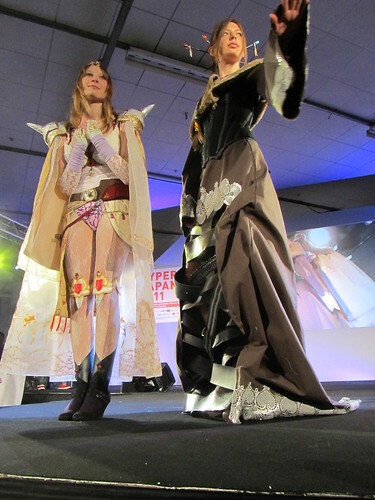 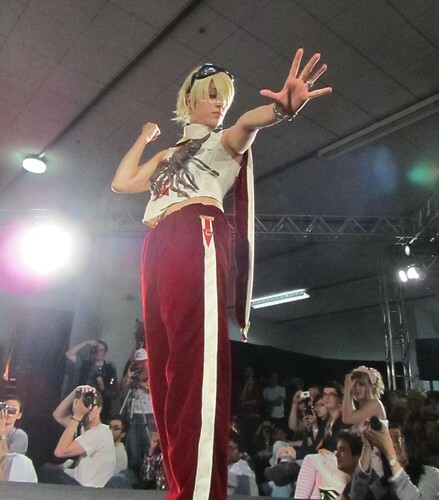 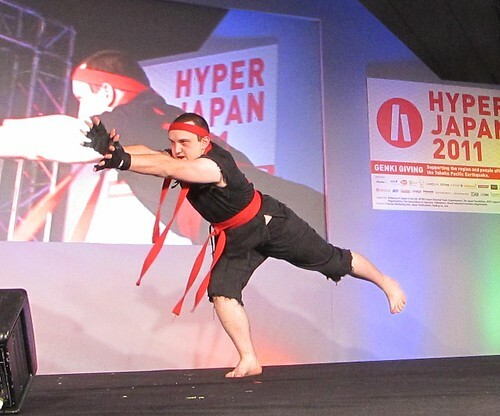 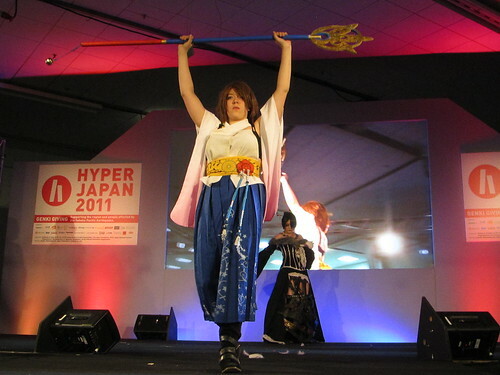 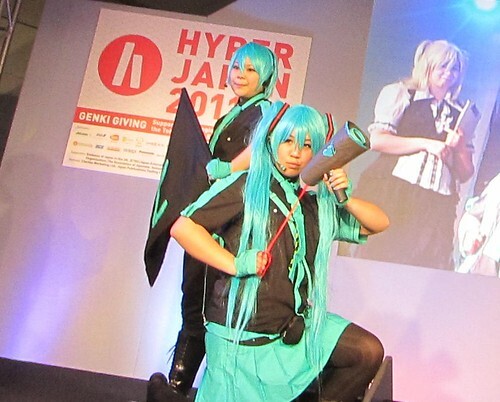 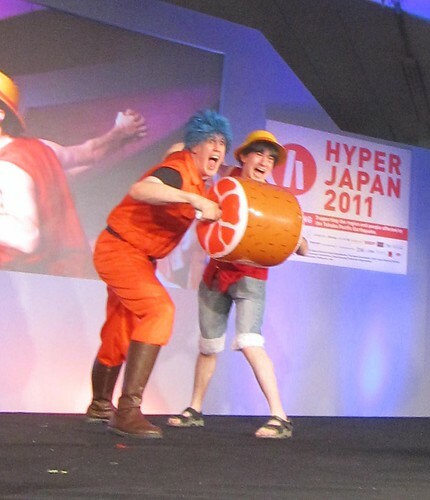 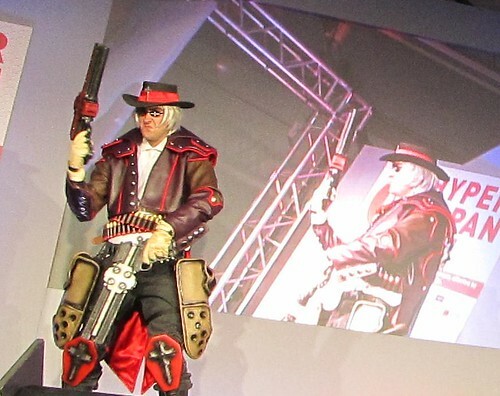 Finally, there was a special announcement at Hyper Japan: “From 2012, the HYPER JAPAN UK Cosplay Award will be an official World Cosplay Summit preliminary! 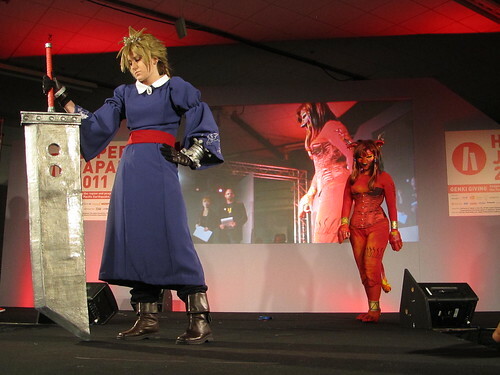 The winners of the 2012 HYPER JAPAN UK Cosplay Award will be whisked off to Nagoya, in Japan, to take part in the World Cosplay Summit 2012 as official representatives of the UK. 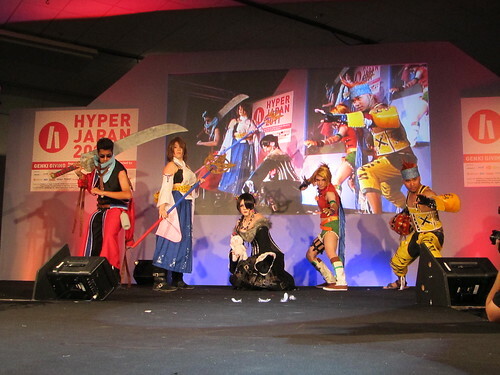 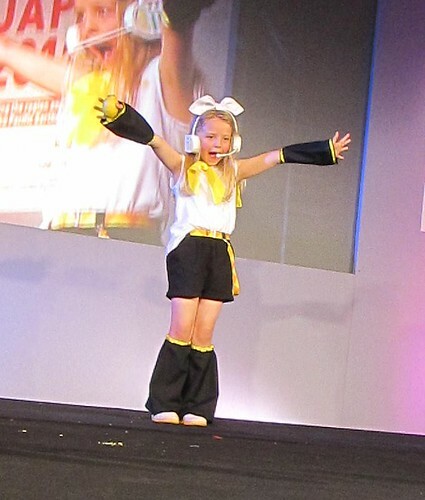 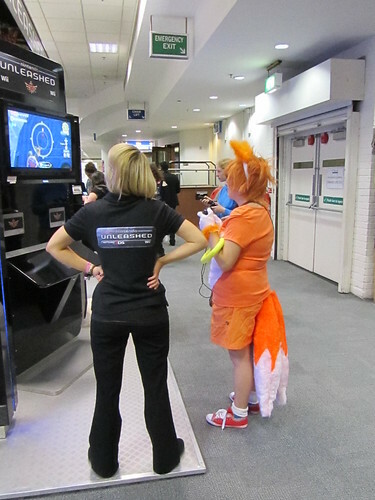 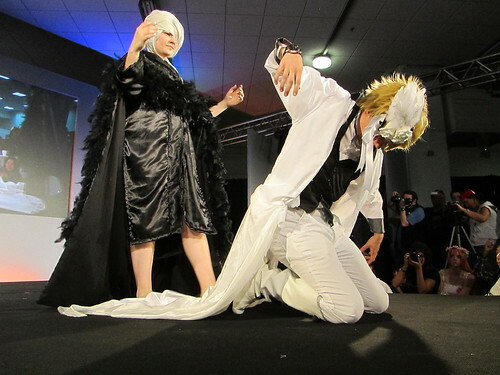 That means a chance to perform alongside the world’s best cosplayers – and maybe even beat them!“. 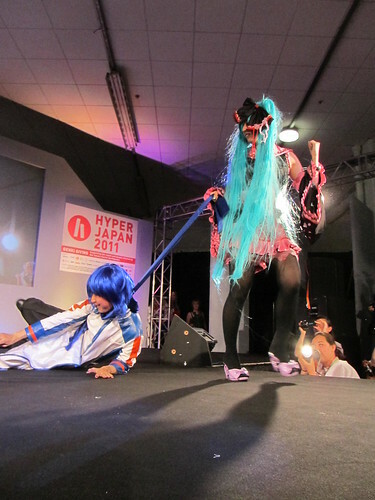 For more on this, click here!